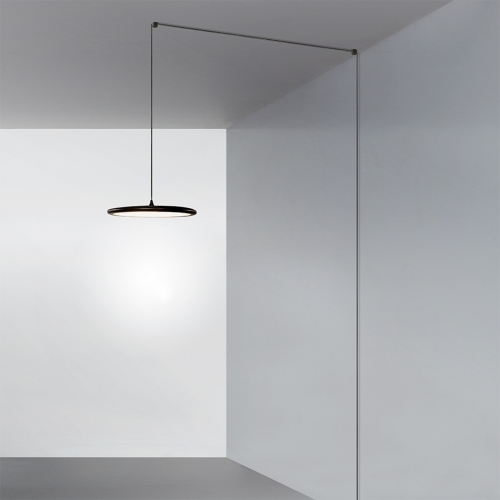 Modular suspension, ceiling and wall lamp with a thin metal powder coated diffuser. The decentrate version has a versatile ceiling mounting system allowing to illuminate even in absence of electrical connection on the ceiling. 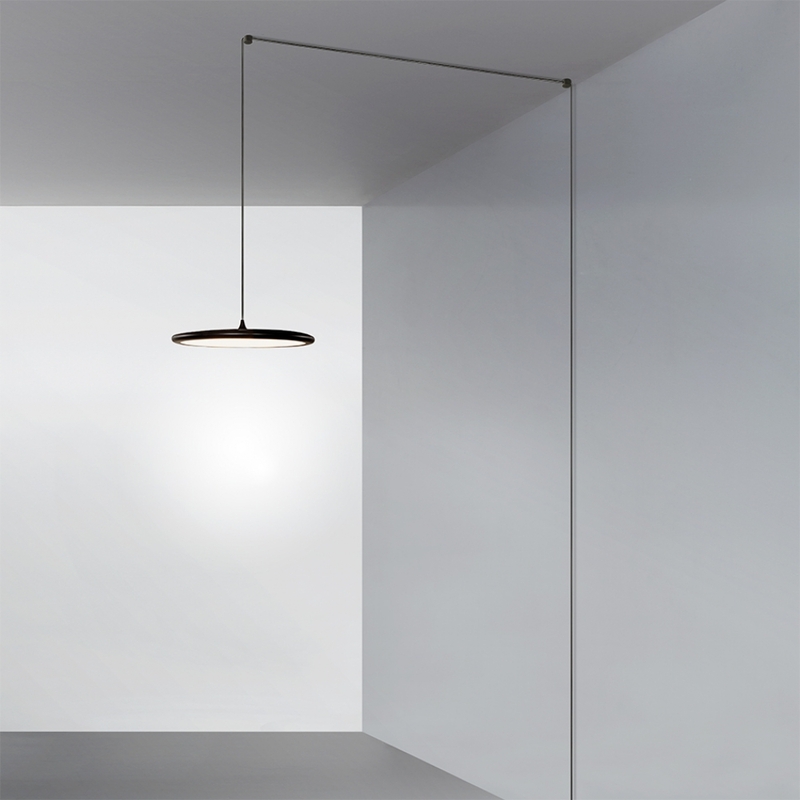 In addition, the metal decentralizers allow the wire to slide to bring the light where it is needed. 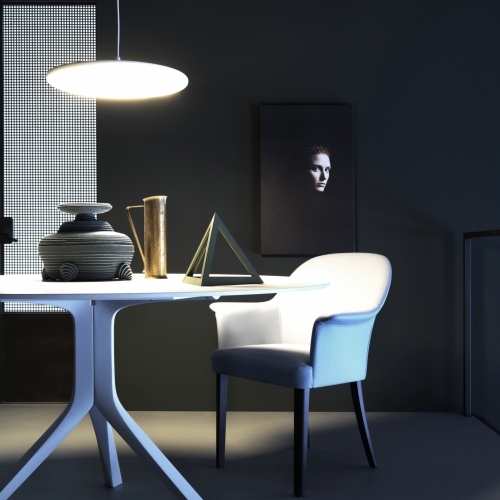 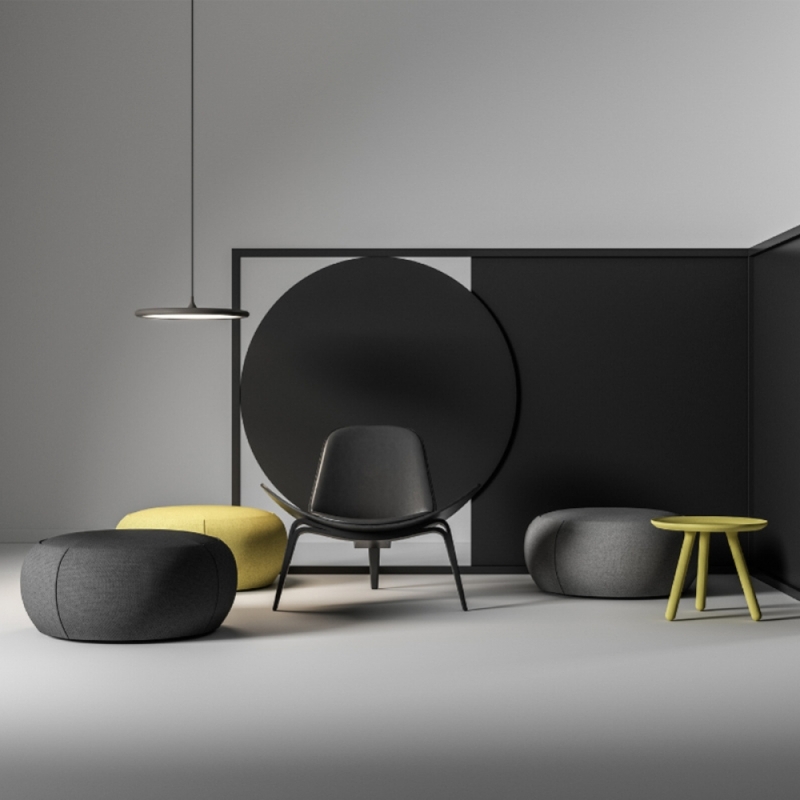 Thanks to its essential form, the light spreads evenly throughout the environment.